The committee was excited to find a such a compelling show that speaks to multiple generations with a small cast led by a 13-year-old girl. We know that our audience will find it as charming and moving as we did. 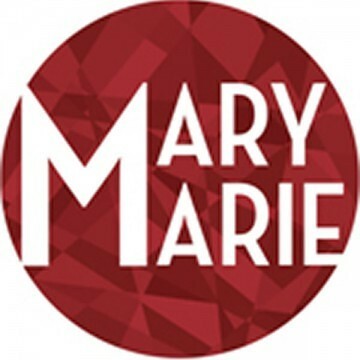 Created as part of the musical theater program of Los Angeles-based New Musicals, Inc.(formerly The Academy for New Musical Theatre), Mary Marie has been presented in concert for several public readings. It was chosen to be included in the 2011 STAGES Festival in North Hollywood, The Academy for New Musical Theatre (ANMT) summer concert reading series at the NoHo Arts Center in 2012, and it was included in the Rubicon Theatre’s Plays in Progress series in Ventura, CA in the summer of 2013. Finalist for the 2015 Richard Rodgers Award. Reading at The Chance Theatre in 2015. Sierra Madre Playhouse “Off the Page” play reading series in April 2016. Although its title character is a 13-year-old girl, the musical Mary Marie was written to be a family rather than a children’s show, along the lines of Little Women or The Secret Garden. Themes revolve around family relationships and living up to familial and societal expectations and the show especially appeals to anyone who has ever had a daughter, or who’s ever been one. Mary Marie was adapted from the book of the same name written by Eleanor H. Porter, who wrote for both juvenile and adult markets. Although now largely unknown to today’s readers, Mary Marie was listed as one of the top ten best-selling novels in the U.S. for the year 1920 as determined by Publishers Weekly. Faced with dealing with the consequences of her parents’ unpleasant and very unusual 1920 divorce, yet refreshingly undaunted by it, Mary Marie both plays out and narrates her story while she writes in her book/diary. Her parents’ path is revealed through flashbacks of their marriage as each tries to deal with the aftermath of its collapse. Mary Marie is a traditional musical in the sense that it relies on melody and harmony to clearly present the lyric and tell the story. With musical influences from Sondheim to Bernstein to John Williams, it appeals to those who love the timeless classics of the repertoire. Mary Marie has been fortunate to have had several staged readings throughout its development and has benefited greatly from them. We now look forward to developing a partnership toward possible production.